Unless you have been living under a rock, you know that this year marks the 75th anniversary of the publication of Margaret Mitchell’s Civil War epic, Gone with the Wind. The book and its characters are being celebrated and discussed around the world. From Atlanta to Calcutta, people have weighed in on why they like the book, how many times they’ve read it, and how it has influenced their lives. 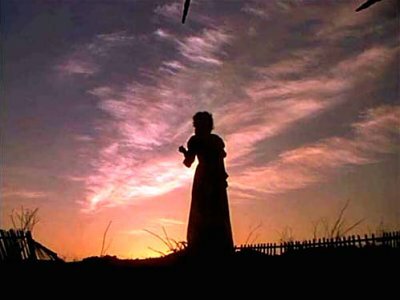 Aside from the personal connections readers have made with the book and its characters, however, Gone with the Wind’s most enduring legacy has been in shaping a popular understanding of the Old South and the Civil War. From the beginning, fans have accepted as truth the book’s Lost Cause narrative of the pre-Civil War South as a region gilded by romance and whose cast of characters included cavaliers, belles, mansions, and of course, loyal slaves. Yet it is fair to say that the film, more than the book, has influenced this popular view of the southern past. Even Margaret Mitchell called this one. One could certainly argue that what Mitchell produced, despite her meticulous research, was not necessarily a “truthful” southern history, but one in step with the Lost Cause version she grew up with. Yet, Mitchell was on target about the film’s influence in shaping a popular understanding of southern history. “People believe what they like to believe,” she wrote, “and the mythical Old South has too strong a hold on their imaginations to be altered by the mere reading of [my] book.” This was true. As the most influential medium of popular culture in the first half of the twentieth century, movies shaped what people learned about history. And during the 1930s, movies set in the Old South were very popular. 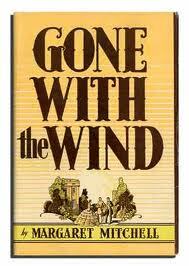 When the book was made into a film, Gone with the Wind became Hollywood’s first blockbuster, and as such it cemented an image of southern history in the popular imagination—much to the chagrin of African American leaders who recognized that this kind of popular “history” not only damaged the morale of their race, but hurt the cause of civil rights nationally. This year’s celebrations of the book and the film probably won’t lead most people to think, much less hold serious discussions, about Gone with the Wind’s influence on popular perceptions of southern history. That would ruin the historical fantasy that Margaret Mitchell created and which they love. And frankly, I’m not sure they give a damn. Note: This blog post originally appeared on the UNC Press Blog.